Product measurements were taken using size 19 (US 3.5 Toddler), width M. Please note that measurements may vary by size. 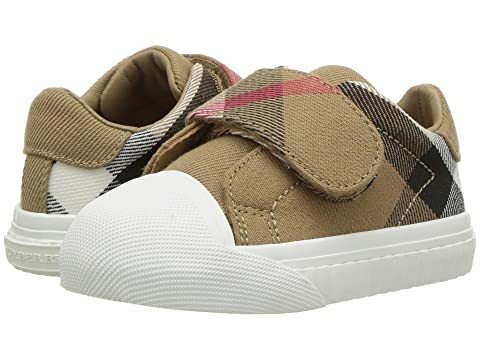 We can't currently find any similar items for the Beech Check Trainer (Infant/Toddler) by Burberry Kids. Sorry! These are so adorable I bought them to match a Burberry outfit for my 7 month old son for a family photo shoot!